Thanks for your interest in joining the Agohra Go Team! 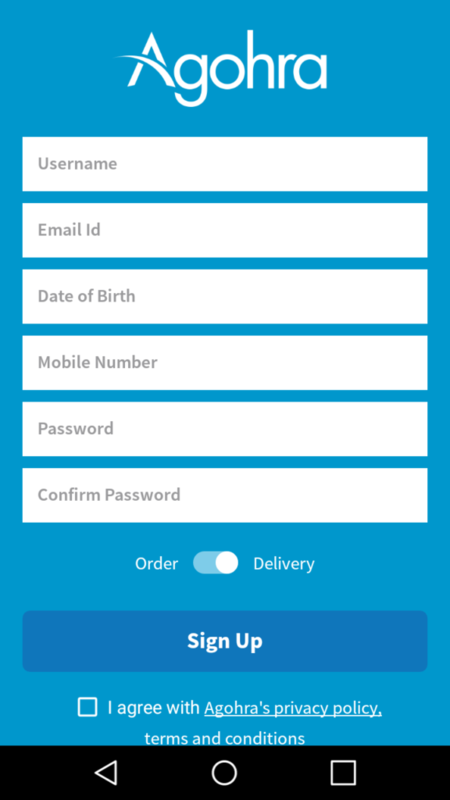 Our delivery app is an easy, convenient way to make extra cash in your spare time. This tutorial is designed to help you fulfill your first order. Pretty soon, you’ll be making deliveries all over your area, whenever it’s most convenient for you. First, create your account by choosing a username and password. Since you’ll be using the account to deliver, and not to shop, make sure the toggle is switched to “Delivery”. (You cannot use one account to be both a shopper and delivery driver at this time. If you’d like to use Agohra to shop, click here to learn how to place an order through Agohra). Once you’ve signed up and logged in, you’ll be presented with three options: Add Account Information, View Deliveries, and Edit Profile. Before you can make a delivery, let’s make sure you can get paid. Click “Add Account Information” to set up the payment system. You’ll submit and save your bank information to the app. You’ll make delivery purchases with your own credit/debit card, just as you usually do. 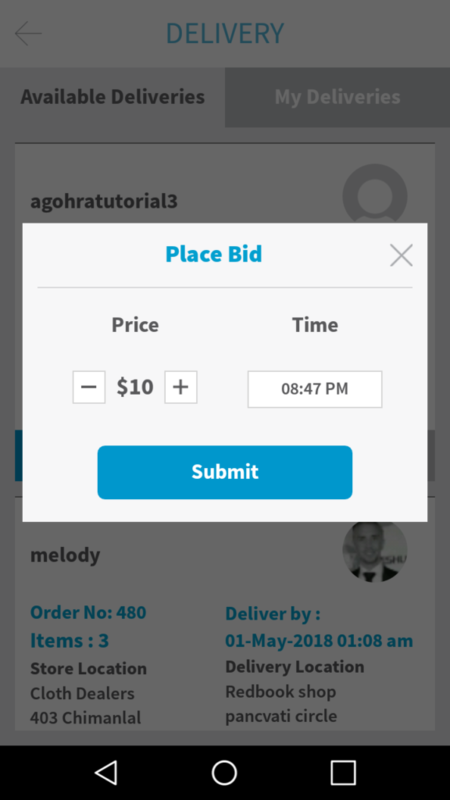 Once you pay for an order, you’ll take a picture of the receipt and submit it to the app. 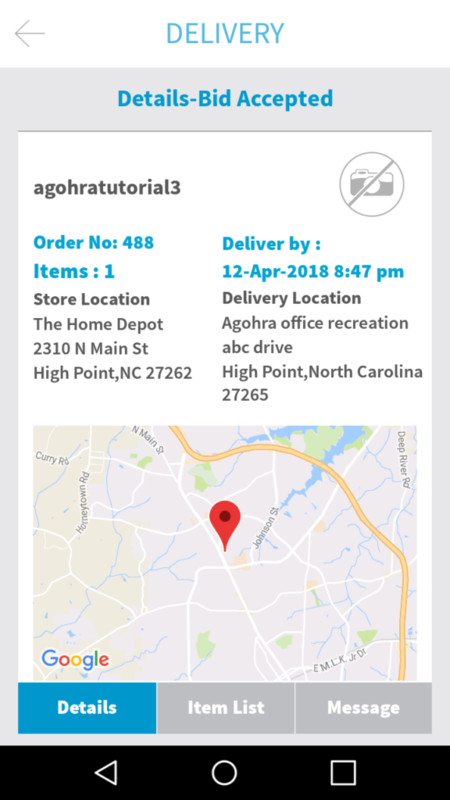 Once the buyer confirms the order, you will automatically be reimbursed for the items, usually within 72 hours, and paid your additional delivery fee. It’s a safe, reliable way to get paid quickly—without ever having to collect a payment from a customer. In the pop-up box, you can choose the delivery fee you’d like to charge the shopper (under “Price”.) Be sure to factor in the time you’ll spend in the store and the time you’ll spend driving. 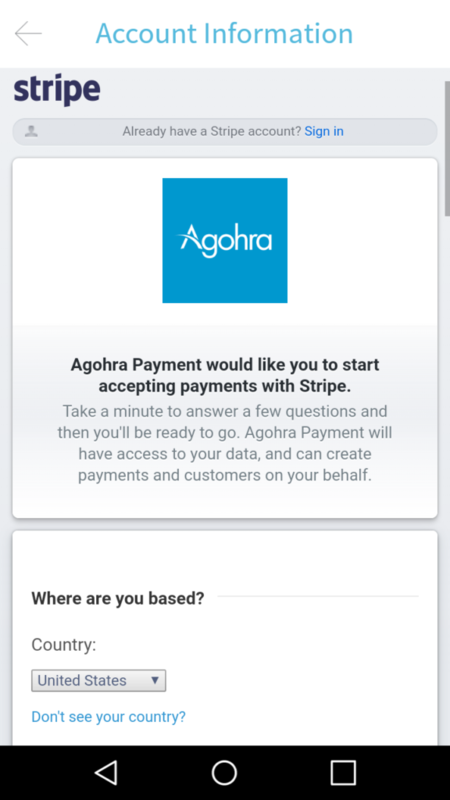 Be aware, too, that Agohra takes a 10% commission from the total transaction (the cost of the goods, plus the delivery fee.) 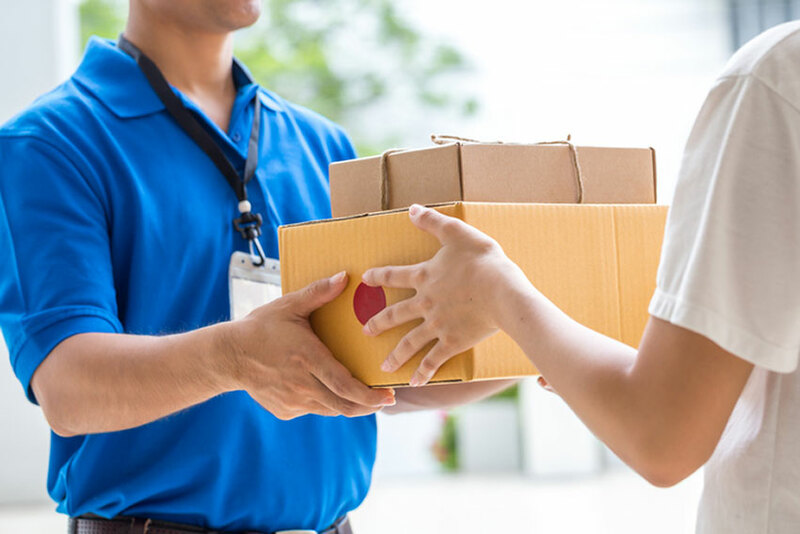 We don’t specify your delivery fee—we leave it up to you to determine what you’d like to charge. In the right side of the pop-up box, you can list the time in which you think you can complete the delivery. This will vary depending on factors like traffic and distance. It’s a good idea to list a time close to the time that the shopper requested. However, if this isn’t possible, we recommend placing a bid with your best estimate anyway. You don’t know how many other drivers are currently using the app, so you might be the best option that the shopper has. 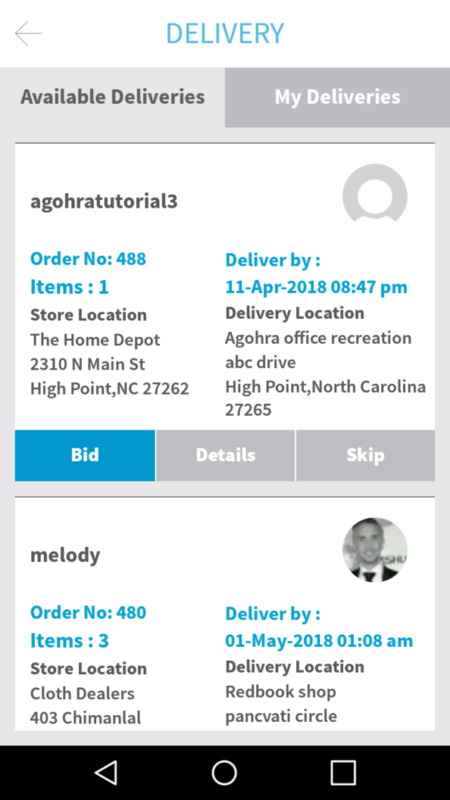 Once a shopper accepts your bid, you’ll head over to the store they listed and purchase the items they requested. 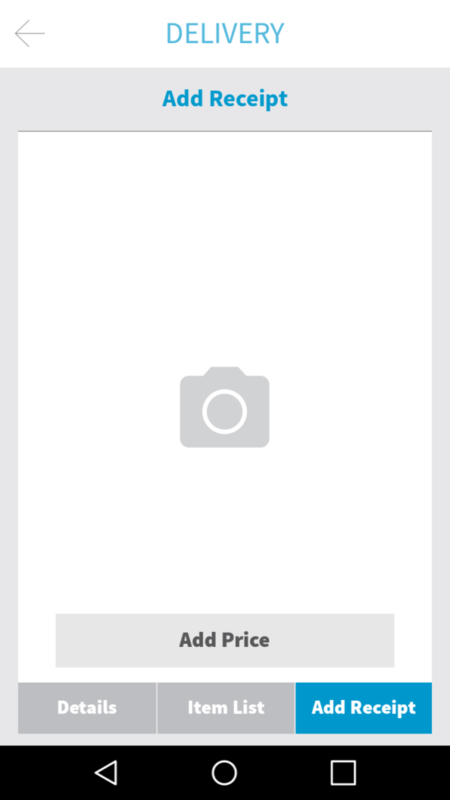 If you have any questions about an item (like “are these bananas green enough?”), you can take and send photos of items through the app. You can also communicate with the shopper via the in-app messaging system. Once you’ve checked out, take a picture of your receipt. We recommend doing this as soon as possible to minimize the chance of forgetting or losing the receipt. If you don’t take a picture of the receipt, you cannot be reimbursed. Once you’ve got the picture, send it to the shopper. They will then be able to confirm the order, and you will be reimbursed and paid your fee. Now, all you have to do is take the items to their final destination. Make sure to leave everything with a person, not on a doorstep. 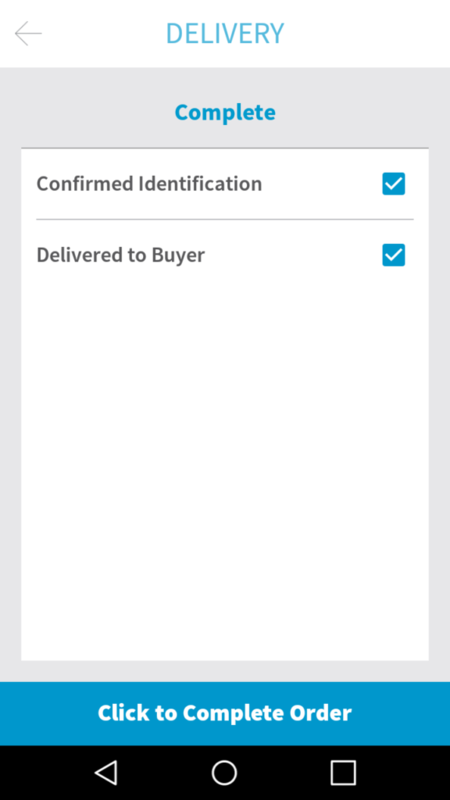 Once the shopper confirms their order, you’ll receive payment for the items you bought, as well as your delivery fee. You can then head out on your next delivery, or head home, whichever you prefer.